We are manufacturing these film plants in different widths depending upon its application area. Our Blown Film Plants and machineries have diverse applications and supreme quality products made at par to the international standards. Our most demanded blown film lines are to produce various combinations of PP and PE grades as per customer's specific requirements. 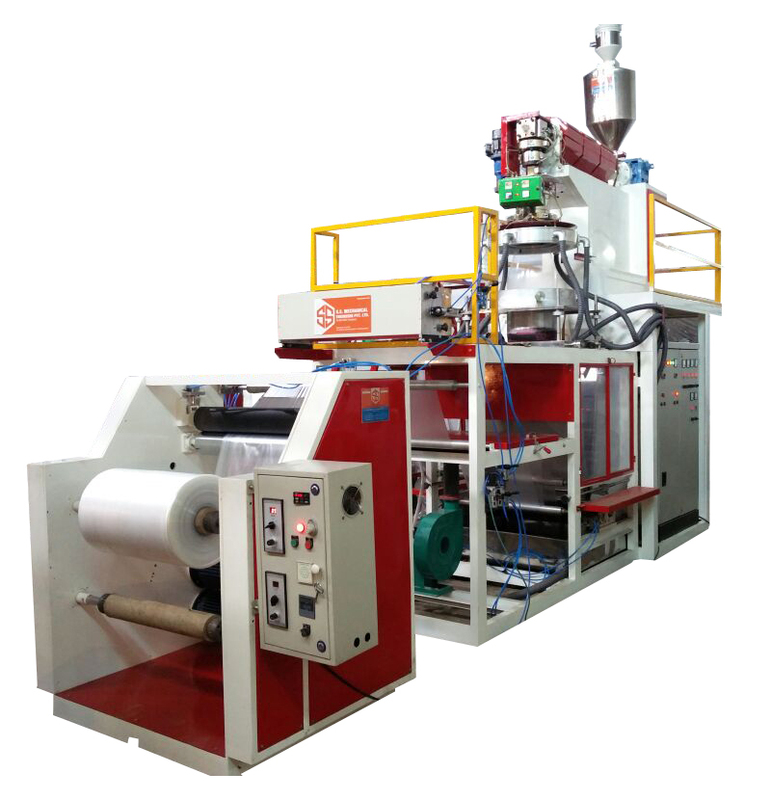 The lines are capable to process polyproplene(PP) for narrow width bags a Double Die-head downward extrusion blown film line is also offered to produce narrow width PP bags for grocery packaging application. These lines are quite energy efficient and give optimum production rate which makes investment to installed capacity ratio much favorable. Two layer configurations are also available, mono and two layer lines are available with Rotating die. Our Blown film machines incorporate advanced features like-grooved feed barrel, barrier screw, dosing system, Liquid PIB dosing system, manual as well as automatic screen changer, Rotating Die/ platform , internal bubble cooling, automatic bubble cage, online thickness monitoring and control, Surface and center winders , Auto tension control, Corona treaters etc. for longer life, higher productivity and better quality.